Driving into our hotel parking lot in downtown Moab in the late afternoon, I immediately noticed a peculiar detail. Not only were there hordes of people in dusty hiking boots, carrying daypacks, but there were mountain bikers wheeling their bikes away, SUVs straddled with kayaks and canoes, and climbers stowing away their gear. It was obvious: Moab, a small eastern-Utah community, is not a one-sport town. 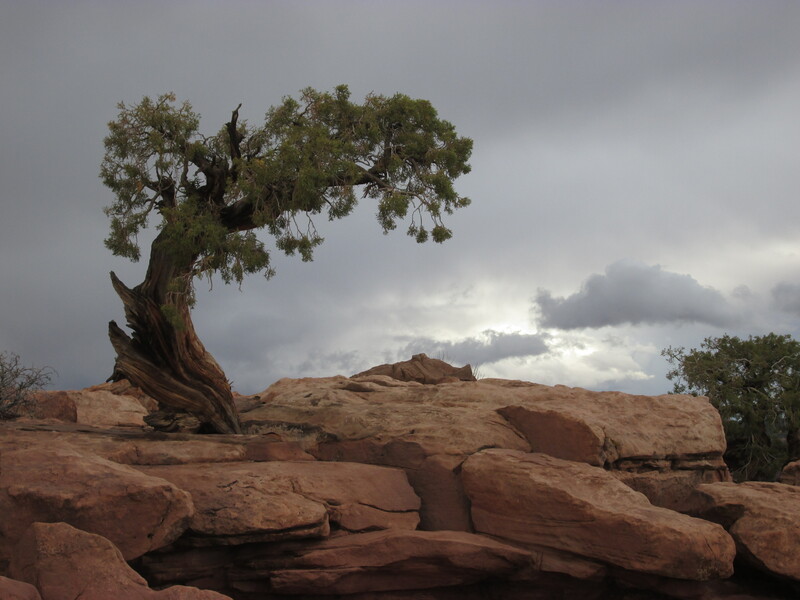 Its fortuitous location within easy reach of two national parks, a state park, AND the Colorado River gives Moab the type of outdoor-recreation depth that many far-larger communities can only dream of. In the words of an area outdoorsman, Moab is “the Disneyland” of outdoor sports, and the tiny town of just more than 5,000 people has capitalized exceptionally well on its natural riches. Everywhere you look, there are groups, young and old, dining out in restaurants, drinking in bars, and browsing the shops that line the main drag. We were there in October, and it was obviously an optimal time to visit. Days were still hot and sunny, nights were cool. That doesn’t mean that the weather was all clear all the time. 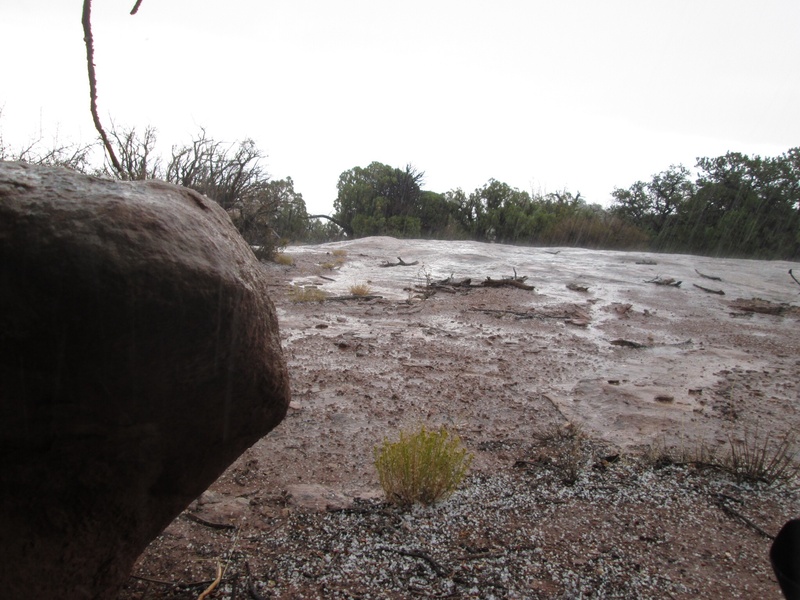 On a daytrip to Dead Horse Point State Park, my friend and I got caught in a nasty rain/sleet/hail storm that came on suddenly. We were marginally prepared with raincoats and hats, but still, we had to crouch for nearly an hour under rock overhangs. 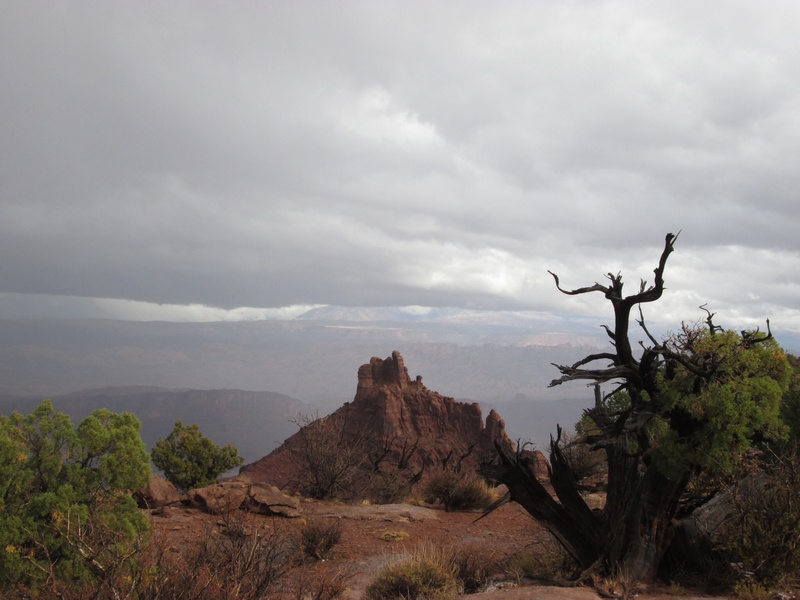 Uncomfortable in a way, but also glorious to watch the storm unfold over the deep canyons and soaring rock spires. Our group of about a half-dozen was focused on two main activities – hiking and mountain biking – and we set off to squeeze in as many excursions as we could in the three days we were staying. 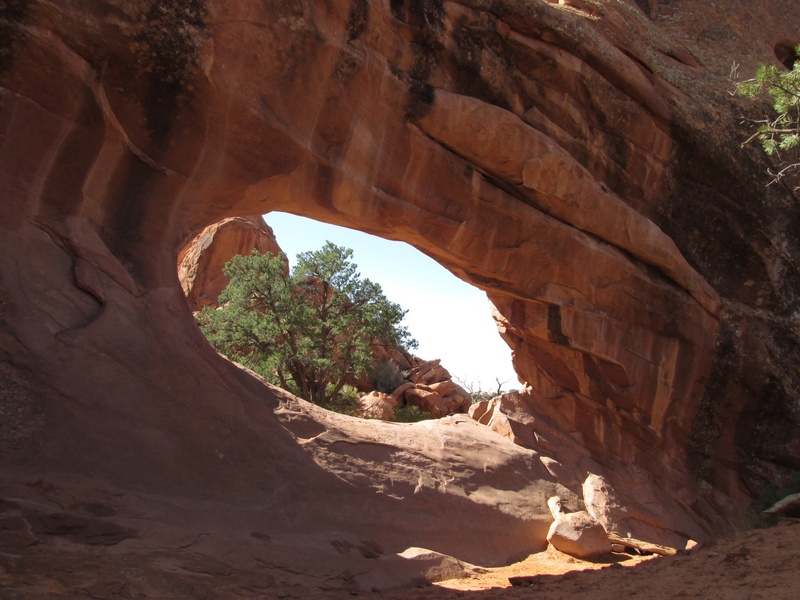 For any visitor to Moab, Arches National Park is the place to start. It is a wonder, and it lived up to all of my expectations. 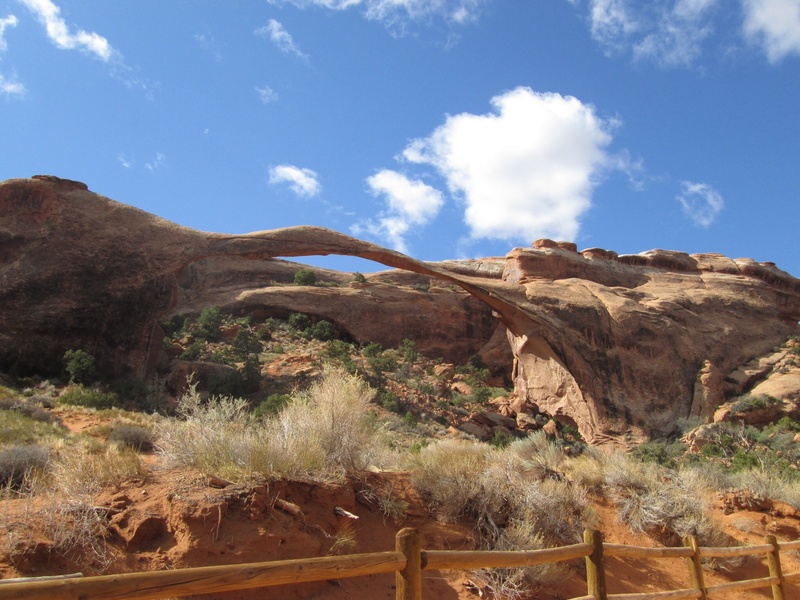 Everywhere you turn, it seems, there is another arch, set off by the deep blue sky and rusty-red rocks. Double O, Tower, Delicate, Private – they’re all descriptive names of the various arches, and each has its own charm. Be warned: On a beautiful fall day, you will encounter lots of tourists along the well-traveled Primitive Loop in the Devils Garden area. Still, I think it is a must-see, and it is possible to get away from the crowds by taking some of the lesser-know loops. Dead Horse is another attraction you shouldn’t miss. Maybe because the weather was chilly and wet the day we visited, we did not encounter the same level of activity, and the hike felt almost solitary. 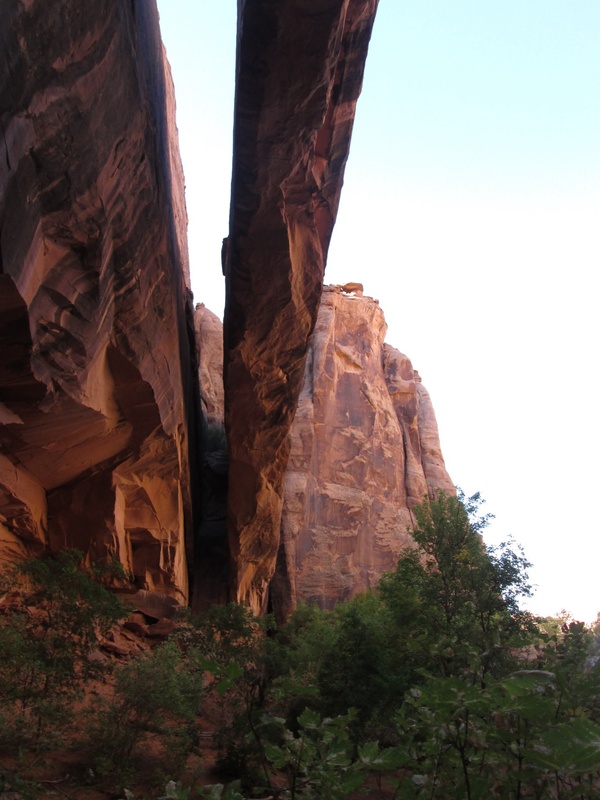 Probably because of its popularity and relative isolation, Moab is not exactly a bargain destination. Restaurant prices were a little high, but the quality of the food and drink was great. In the evenings, the popular places are packed. My favorite place for dinner was Miguel’s Baja Grill, located on Main Street. I loved the whole roasted jalapeno on each plate, and the tasty margaritas. There are also some great places to pick up sandwiches to take along on a hike. I liked Panteles Desert Deli on Center Street. 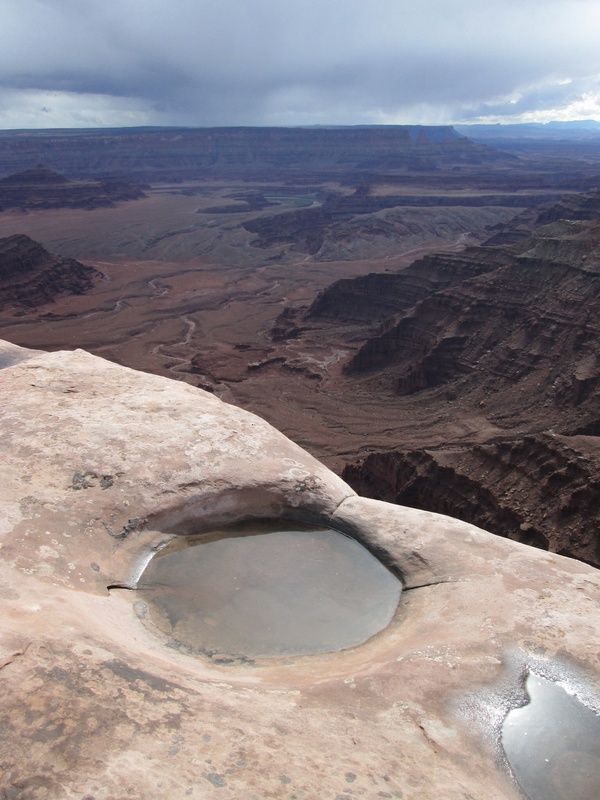 Like Disneyland, Moab’s offerings are difficult to take in in a single visit. It’s definitely on my list of places to return to in the future.